Barcelona sign new jersey sponsorship deal with Beko. 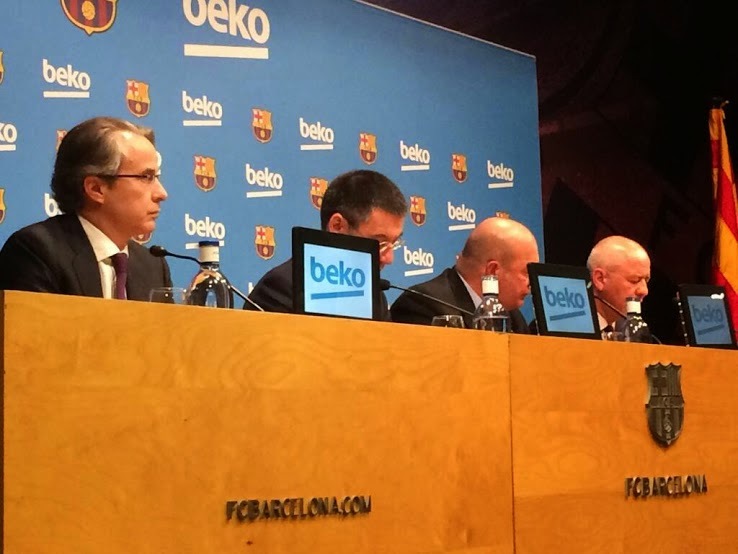 Barcelona announced today that they have signed a new shirt sponsorship deal with Beko. Beko is a Turkish domestic appliances brand, with a very strong presence in the European market. They have a very large sales base in the UK and Poland. The deal was announced today at Camp Nou where the new shirtss showing the logos were also at display. 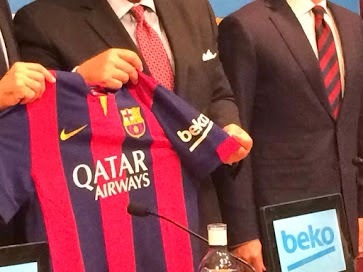 Beko will be the third Barcelona sponsor, joining Nike & Qatar Airways. No financial terms were disclosed by either side. Beko will have their logo displayed on the left sleeve of the new Barcelona jerseys, making it the fifth visible brand. They will join Nike (jersey maker), Qatar Airways (front), Unicef (back) and Intel (inner jersey sponsor). The partnership will start this 2014/15 season and it will run for four seasons. During that period of time the Beko logo will be seen on the left sleeve of the jersey. 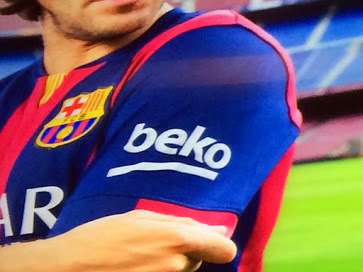 The Beko logo will only be seen during La Liga games and Copa Del Rey. Champions League only allows two sponsors, which will be Qatar Airways and Unicef.